To help improve shifting response Agency Power has released stiffer shifter bushings to go along with their amazing short shifter. These shifter bushings replace your factory rubber bushings. These shifter bushings will give your shifting response a much more stiffer response between gears. 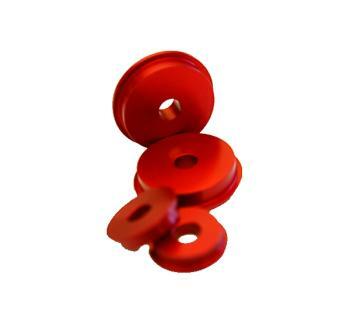 As well, these shifter bushings are designed to be easily installed unlike other brands.